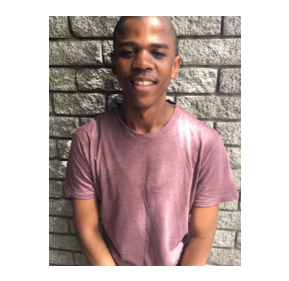 Chumile Mgwali currently enrolled in the GTI Future Leaders Programme and a teacher intern at Vergenoegd Primary, Delft. He is studying towards his Bachelors in education (B.ed) at UNISA. During our GTI Summit this July, he presented a workshop on Classroom Environment. In our conversation below, he speaks about his experiences as a young educator. How did you first get interested in education? I first got interested in education in 2016 when I started to tutor Accounting at Langa High School to the Grade 12 class, that year I was enrolled at UWC studying BCom Accounting. I fell in love with being in front of learners and teaching, I imagined doing that for a long time and that is when I discovered my passion for teaching. What do you think is missing from most people’s educational experience? What I think is missing, is the connection between the teacher and learners and also the subject being taught. What I mean about this is that many teachers are textbook based and they often fail to connect with the learner with what they teach because sometimes it is not relevant to what the learner’s experiences. What do you wish society or politicians understood about the teaching profession? I wish they understood that it is one of the most precious professions as it is the mother of all professions. 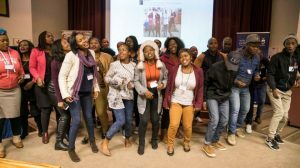 Most importantly it also a tool that can be used to bring about social change into our societies as some of the issues we currently facing are mostly driven by lack of education. At the Axis Summit, you presented a workshop about Classroom Environment. What are some of these challenges you are faced with today? The current challenge that I am dealing with right now is having to find a suitable and an effective environment for me as a teacher and for my learners. This is a challenge because as we know we have different types of learners who learn differently, so for me my struggle/challenge is finding that suitable environment that is going to accommodate everyone. What rule do you have for yourself as a teacher? ‘Never give up’, this one rule I have for myself. It keeps me going all the time and we me not giving up it is also transferred unto my learners because our learners look up to us. Learners model whatever they see us doing and some also even believe in what we say we believe in.